There are three reasons as to why you would need to move your pool table. The first might be you simply need to temporarily move it out of the room while you are having new flooring installed. The second might be you are moving your pool table to a different room in the house. And the third most common reason is you are moving into a brand new Long Island home. Whatever the reason for moving your pool table, it is important NOT to let any moving companies, carpet crews, or handymen attempt to lift or move your pool table. The proper way to move a pool table is to dismantle the table completely. Table components should be wrapped in moving blankets, especially the rails. The slates must be positioned flat. Just because the cloth is coming off when you take the table apart does not mean that it cannot be upholstered once again with the same billiard cloth. Don’t let some pool hall junkie convince you that it has to have new cloth. 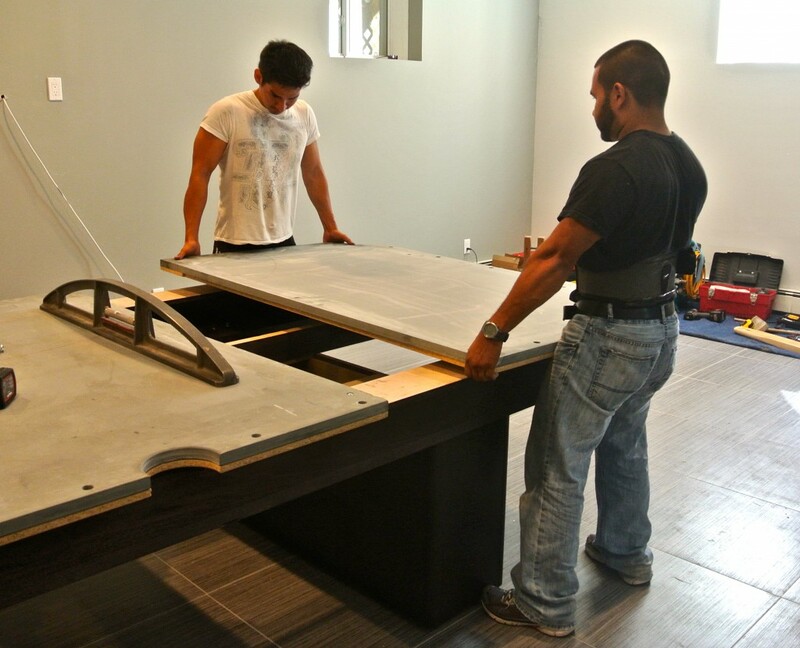 If you intend to keep your pool table for generations to come, it is important for the safety of your pool table to only allow factory trained technicians from Century Billiards & Game room to perform any work on your table including our pool table moving service. Schedule a consultation to the right, fill out our contact form or call and speak with an expert at Century Billiards & Game room at (631) 462-6655.